May 17, 2017, 10:36 a.m.
By Joseph Lichterman @ylichterman May 17, 2017, 10:36 a.m.
Last summer, Canadian tennis player Milos Raonic made it all the way to the men’s singles final at Wimbledon, beating Roger Federer in the semifinal before succumbing to Andy Murray in the championship match. One of the possible reasons for his success? Additional coaching from American tennis great John McEnroe who started working with Raonic for the grass court season last year. But McEnroe also works as a tennis analyst for the BBC and ESPN, calling Raonic’s matches for both networks. “If F. Scott Fitzgerald were covering tennis, he’d note that the rules for John McEnroe are different than for you and me,” Sports Illustrated media reporter Richard Deitsch wrote last year. Though McEnroe ultimately stopped working with Raonic ahead of the U.S. Open last year, the tight-knit nature of the tennis world has led to numerous complaints of conflicts of interest, along with increased media consolidation. In March, Sinclair Broadcasting Group, which owns the Tennis Channel, bought Tennis magazine and Tennis.com. “The challenge, and really the opportunity, is disrupting this market, which in our sport in particular is so newly consolidated but always has been about access and exchange for softballs,” said Caitlin Thompson, publisher of Racquet magazine. 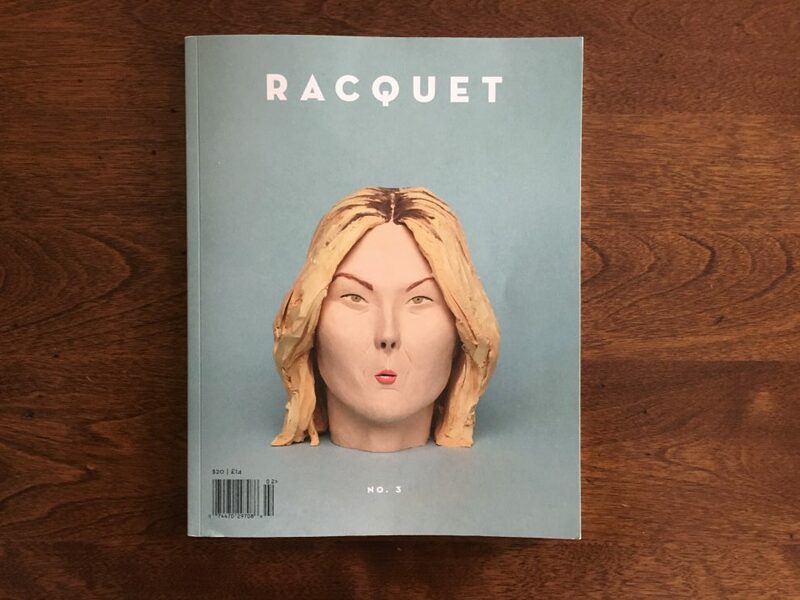 Racquet is a quarterly print magazine covering tennis that aims to provide that independent voice that Thompson says the sport lacks. 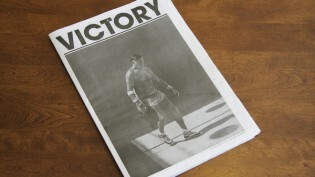 The magazine was launched as a Kickstarter project by Thompson and editor David Shaftel last year, raising $55,000. Racquet published its third issue this spring with a cover story focusing on controversial star Maria Sharapova, who was suspended for 15 months for testing positive for a banned substance. 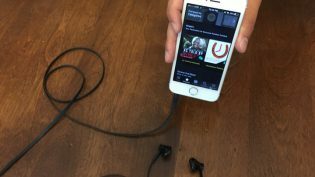 The internet has enabled an explosion of online-first sports media brands for virtually every team and sport — from SB Nation’s dozens of blogs to Bleacher Report’s seemingly endlessly customizable push alerts on the TeamStream app — that give you up-to-the-minute details on anything you could possibly want to know. Recent stories range from a look at the technology used at the USTA’s national training center and a profile of former Russian president Boris Yeltsin’s tennis coach to an original work of tennis-centered fiction. Racquet also holds events, publishes a regular newsletter, maintains an active social media presence, and has a podcast. (Thompson’s day job is director of content for the Swedish podcasting company Acast.) Racquet is also interested in creating documentaries, books, or even live podcast shows. Thompson said print is the heart of what Racquet produces, even as it sees digital platforms as a way to share some of its work and stay connected to the sport between issues. Its recent Sharapova cover story, for instance, was co-published with Longreads. But the magazine’s digital strategy has been an outgrowth of how Thompson and Shaftel were already talking about tennis online. While Racquet has been praised in publications such as The New York Times’ T Magazine and Monocle, it’s been more of a challenge to break through to the tennis world, Thompson said. The magazine has about 2,000 subscribers, Thompson said. An annual subscription costs $84; individual issues are $20. Racquet needs to hit about 2,500 subscribers to break even if it’s being “very unambitious,” Thompson said, but its goal is to reach 8,000 subscribers in order for it to be truly sustainable and to be able to continue to grow its coverage. The magazine began as a side project, but Shaftel has begun focusing more of his time on it and Thompson said they are looking to hire someone to handle more of the business operations. Still, the magazine is also committed to remaining independent, Thompson said. The magazine has limited newsstand distribution and does sell ads and merchandise, but subscriptions will be the key to the magazine’s sustainability. Now that tennis season is in full swing — the French Open and Wimbledon are fast approaching — Racquet is hopeful it will be able to grow its readership as well as interest in the sport. “I’m targeting the people who are into the Wes Anderson–Bjorn Borg aesthetic,” Thompson said. POSTED May 17, 2017, 10:36 a.m.
Lichterman, Joseph. "“There’s almost no journalism in tennis,” but the print quarterly Racquet is trying to change that." Nieman Journalism Lab. Nieman Foundation for Journalism at Harvard, 17 May. 2017. Web. 19 Apr. 2019. Lichterman, Joseph. "“There’s almost no journalism in tennis,” but the print quarterly Racquet is trying to change that." Nieman Journalism Lab. Last modified May 17, 2017. Accessed April 19, 2019. https://www.niemanlab.org/2017/05/theres-almost-no-journalism-in-tennis-but-the-print-quarterly-racquet-is-trying-to-change-that/.